Creative writing, design, and production methods allowed us to produce a top-quality annual report despite tights budget restrictions. 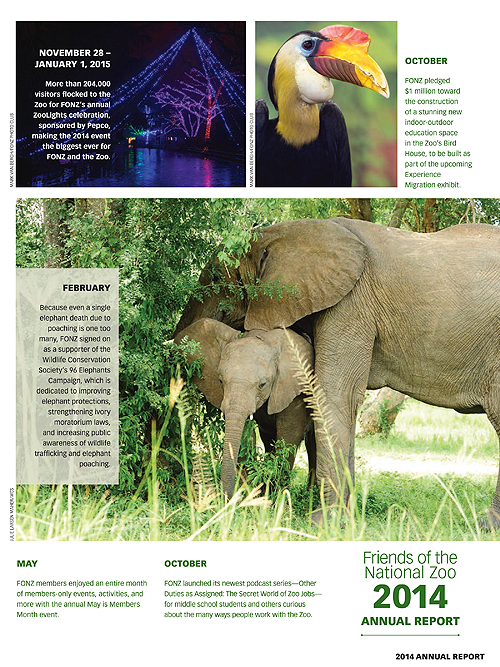 The content was kept short and snappy, highlighting the biggest Friends of the National Zoo events and accomplishments for the year. The actual document was designed so that it could be printed within the pages of the summer 2015 issue of Smithsonian Zoogoer Magazine, resulting in significant cost savings. My scope of work included the research, writing, and editing of all content; collaboration with the designer and printer to create a layout that worked both within the magazine and as a standalone pdf document; and all aspects of project and publication management. 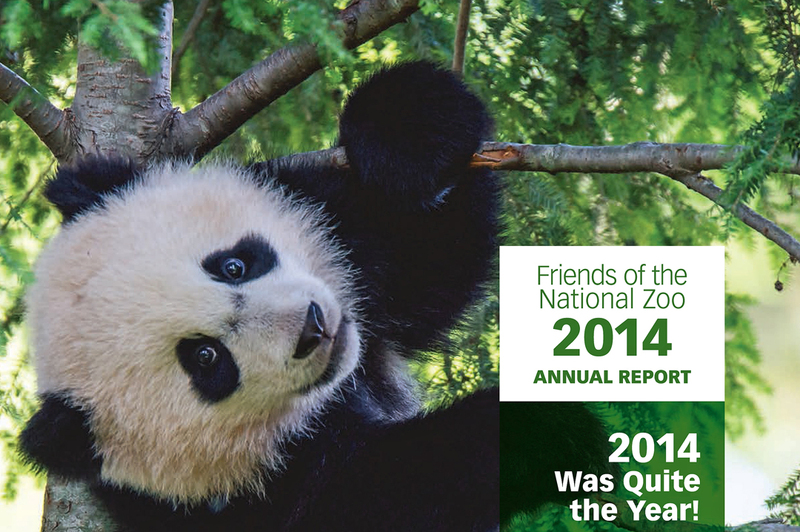 By marrying eye-catching photography with fun and inspirational stories, the 2014 FONZ Annual Report packs a lot of information into a relatively small space (the narrative is limited to just two pages). Readers are invited to revisit key accomplishments from the past fiscal year, some of which were made possible only through their support. 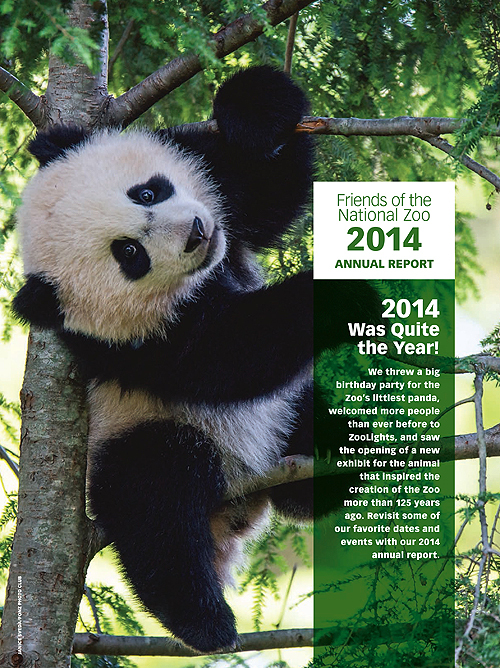 Annual reports are a necessity for nonprofits. Financial statements and donor lists must be printed and shared with stakeholders. But, the report needn’t be dry or obtuse. The best annual reports engage their readers, inspiring members and donors to continue—and perhaps expand upon—their role with the reporting organization. 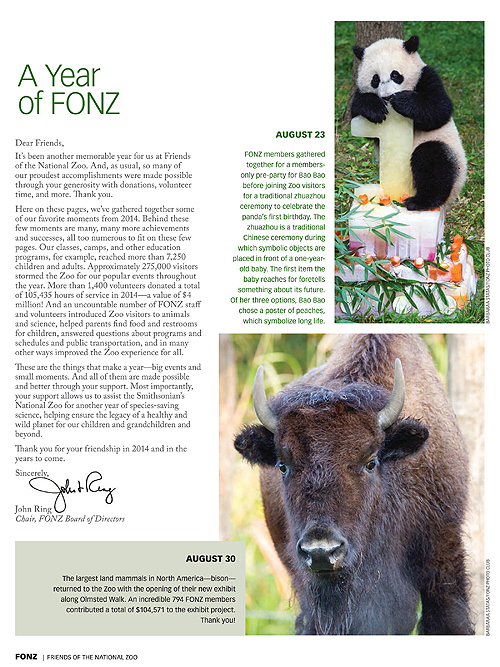 The stories and photographs contained within the 2014 FONZ Annual Report do just that, reminding members why they chose to support FONZ and the Smithsonian’s National Zoo in the first place.